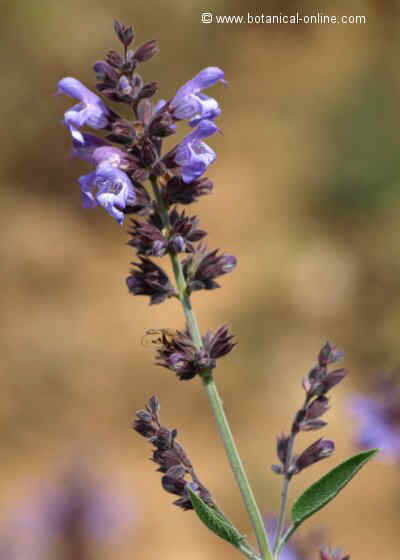 Scientific noun: Salvia officinalis L.
Habitat: Se It is found in dry rocky places. Shrub up to 70 cm. Several tomentous, gray stems. Leaves peciolate,oblong or lanceolate, downy below. Flowers violet, blue or white- pink in quite loose spikes till 10 flowers each. Corolla 3 cm, with the upper lip,contrary to the rest of the “Salvias”, flat. No sticky calyx and twice shorter than the corolla. 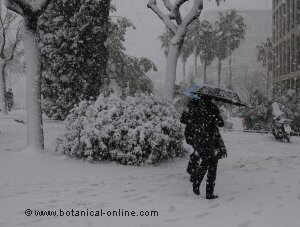 Leaves should be collected before the bloom in spring. They must be dried in the shade and be kept in a dry airtight container. Sage, together with rosemary, thyme and lavender have formed what it is traditionally known as “The four thieves vinegar“. It is told that four thieves are caught in Toulouse while they were looting the neighbors’ houses affected by the Plague. They are condemned to death, but they are given the possibility of saving their lives if they discover what their secret is for having survived the Plague without being infected. Their secret was to macerate the four mentioned plants in vinegar and rub their body with it afterwards. 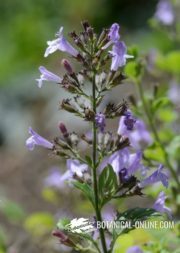 This story proves the main properties of all the Salvia: Their bactericide and vulnerary properties. 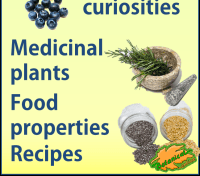 In general, sage has the same properties than Salvia verbenaca and Salvia pratensis, but with stronger values. 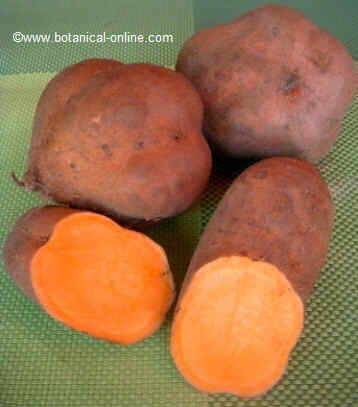 This is the reason why, as we can see from its name, this is the one that has been mainly used as medicinal. – Bactericidal: (Against any kind the breathing diseases: sore throat, pharyngitis, influenza, aphonia, wheezing, etc.) Boil a spoonful of dry leaves and flowers per cup. Two cups each day. – Cicatrizant and bactericidal: (ulcers and wounds) To heal the ulcers, cuts, scratches, chafing, or any wounds, supporting the cicatrization and preventing wounds to become infected. Compresses with the maceration of dry leaves in white wine or the green plant applied directly on the wound. For mouth ulcers, dental caries or gingivitis infusion of half a tablespoon of dried herb for mouthwash. 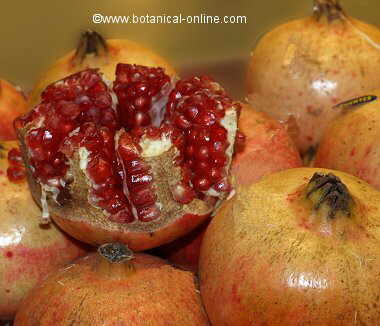 It is very useful for herpes treatment. Because of its bactericidal and cicatrizant properties, it can prevent scabies sores to become infected (Wash the affected areas with the infusion of the dried plant.) 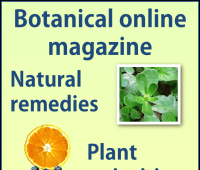 This preparation can be use to treat eczema. – Stomachic, anti gastritic, astringent and anti-vomit: Against difficult digestions, gastritis, heartburn, hiatal hernia, diarrhea and vomits it is a good remedy to drink tree cups a day of the infusion of 15 gr. of dry leaves per litter of water. – Diabetes:Using it decreases the level of sugar.So it should be taken by the diabetic people. To do so, a little glass should be drunken every day of the maceration for 10 days of 100 gr.of dry leaves in a litter of Sherry. – Gum fortifier: With the wine maceration previously mentioned, we can rinse our mouth in order to fortify our gums. We can also use the green leaves to rub our teeth and gums to the same aim. – Hair Lotion: To prevent dandruff or stop baldness, the infusion of this plant, together with those of rosemary and thyme invigorates your hair and makes it shine. 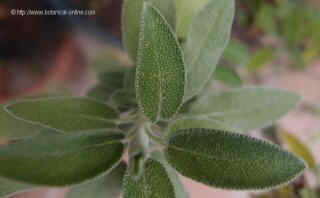 Sage can be used to prepare natural shampoos. Putting some dry leaves in the warm water of our bath, tones up our skin and energizes all our body. 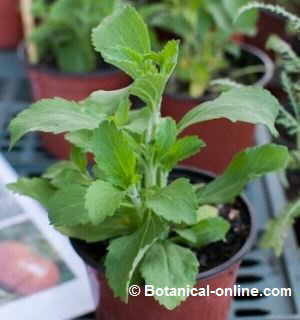 Sage can be used to make interesting skin masks for acne and its manifestations, such as oily skin. It is very interesting to add some fresh leaves to our menus, specially on vegetables. apart from being more tasty, we take profit of the properties.